It's OK! Breeze is Nice. : My e-book was ranked No.3 on Best Seller ranking in Amazon. co. jp. 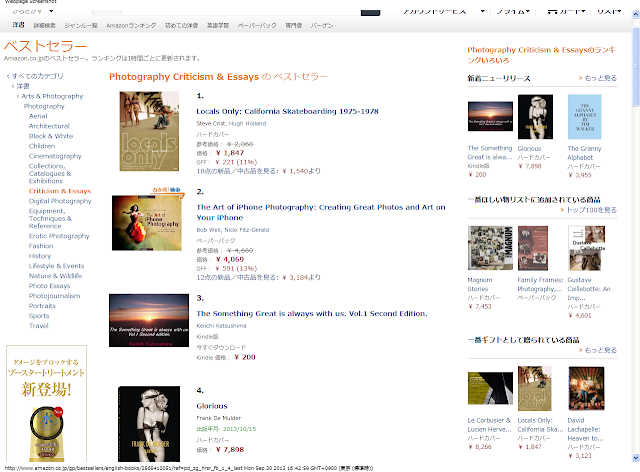 My e-book was ranked No.3 on Best Seller ranking in Amazon. co. jp. My e-book, "The Something Great is always with us. Vol.1 Second edition." was ranked No.3 on Best Seller ranking in Photography Criticism & Essays, Amazon.co.jp(Amazon Japan). I know it was very short term. Even so, I feel so good!